Watch full Ginga Eiyuu Densetsu Season 1 Episode 11 English Subbed full HD online. Ginga Eiyuu Densetsu Episode 11 English Subbed online for free in HD. The Actress Exits. Susanna von BenemÃ¼nde, a former favorite of the Emperor, wants to get rid of Annerose and win back the Emperor’s love. She teams up with Flegel, who hopes that a scandal involving Annerose will lead to Reinhard’s downfall. Annerose is abducted: she is to be killed and found with a supposed lover from the lower class. She is rescued by Kircheis, Reuenthal, Mittermeyer and Oberstein. BenemÃ¼nde is forced to commit suicide. 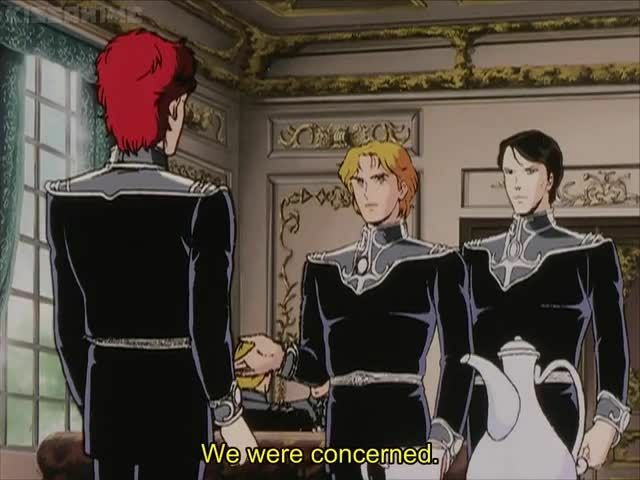 Flegel has been smart enough to leave no proof of his involvement, but Oberstein and Reinhard suspect him anyway.